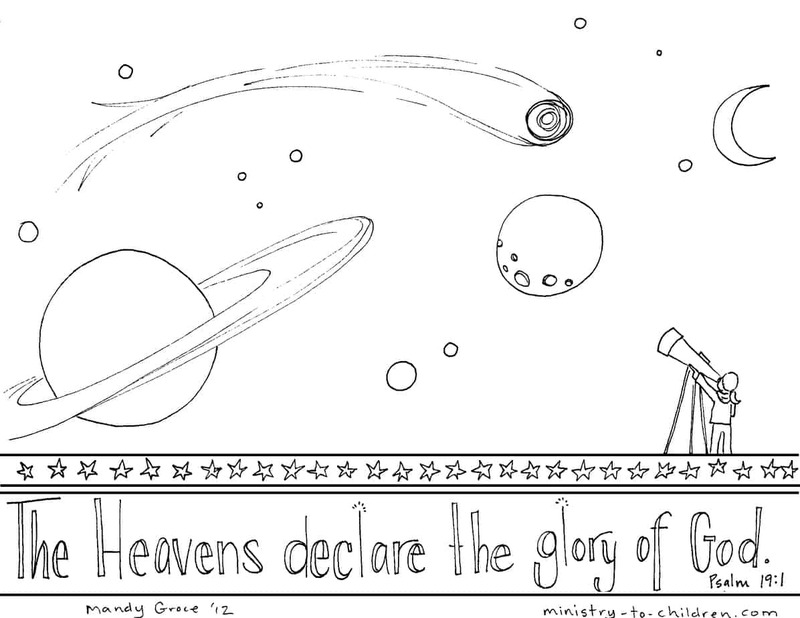 Psalm 19 Coloring Page "Heavens declare the Glory of God"
Click on the preview image above for a printable PDF document, you can also download a higher resolution JPEG image for advanced editing. If you enjoy this free resource, you can find many more based on our favorite simple Bible verse for kids to memorize. 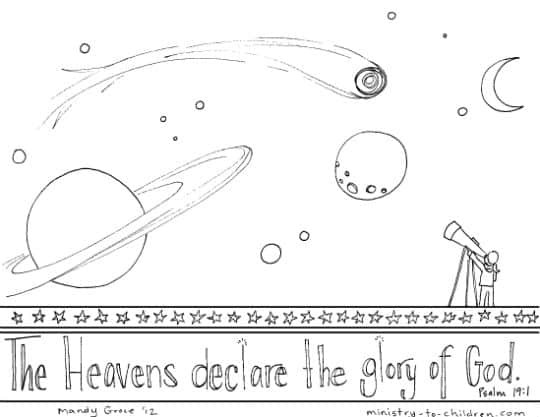 You can also browse more Bible Coloring Pages on our website. Tony Kummer (Editor) reviewed & updated this page on : January 28, 2019 at 11:29 am. All our content is peer reviewed by our readers, simply leave a comment on any post suggest an update.